Women play a critical role in managing natural resources on family and community levels and are most affected by environmental degradation. In communities around the world, women manage water, sources for fuel, and food, as well as both forests and agricultural terrain. Women produce 60 to 80 percent of food in developing countries, while inheritance laws and local customs often prevent them from owning or leasing land and securing loans or insurance. From the high level to the grassroots, the 1992 UN Earth Summit, India’s Chipko movement and Kenya’s Green Belt Movement all highlighted the role of women’s voices and perspectives in sustainable development. Aleksandra Koroleva worked both within government and as a community organizer with Ecodefense! where she coordinated acts of civil disobedience to raise awareness around pollution of water resources, nuclear waste, and creating protected nature reserves. The Barefoot College trains women in Tilonia, Rajasthan, in solar engineering in ways that ensure that this scientific knowledge remains, grows, and circulates within the community. The solar engineering projects have provided pathways for women to partake in solar electrification initiatives. Not only is building solar cookers traditionally seen as ‘men’s work’ so that instructing women in this skill breaks down gender barriers, but the power source lowers family lighting costs and reduces levels of indoor pollution. Figure 11.1: Because of women’s relationship with the environment, they can be critical agents of environmental conservation, sustainable development and adaptation to climate change. In Darfur, Sudan, women carry firewood to the Abbu Shouk refugee camp. The world’s women are the key to sustainable development, peace and security,” U.N. Secretary-General Ban Ki-moon told participants at the Earth Institute’s State of the Planet meeting at Columbia University, in New York City, in March 2010. Because women are the chief resource managers for their families in many parts of the world, their engagement in remedies for and adaptation to climate change is essential. Across the regions and cultures of the world, women play critical roles in relation to their natural environment. Often deeply dependent on available natural resources for food, fuel and shelter, women can be particularly vulnerable to environmental changes or threats. Because women’s workload is often centered on managing natural resources, biodiversity and ecosystems, their experiences and perspectives are essential to sustainable development policymaking and actions at every level, for a healthy planet for generations to come. Women in the developing world are predominantly responsible for management and conservation of resources for their families. Women spend vast amounts of time collecting and storing water, securing sources of fuel, food and fodder, and managing land — be it forest, wetlands or agricultural terrain. As women are primary caregivers to children, the elderly and the sick, whole communities rely on them. Their traditional and generational knowledge of biodiversity, for example, supplies communities with medicines, nutritional balance and crop rotation methods. When drought, erratic rainfall or severe storms affect access to these basic resources, women’s lives — and their families’ lives — can be intensely affected. In fact, studies have shown that natural disasters disproportionately hit women, lowering female life expectancy rates and killing more women than men, especially where levels of gender equality are low. 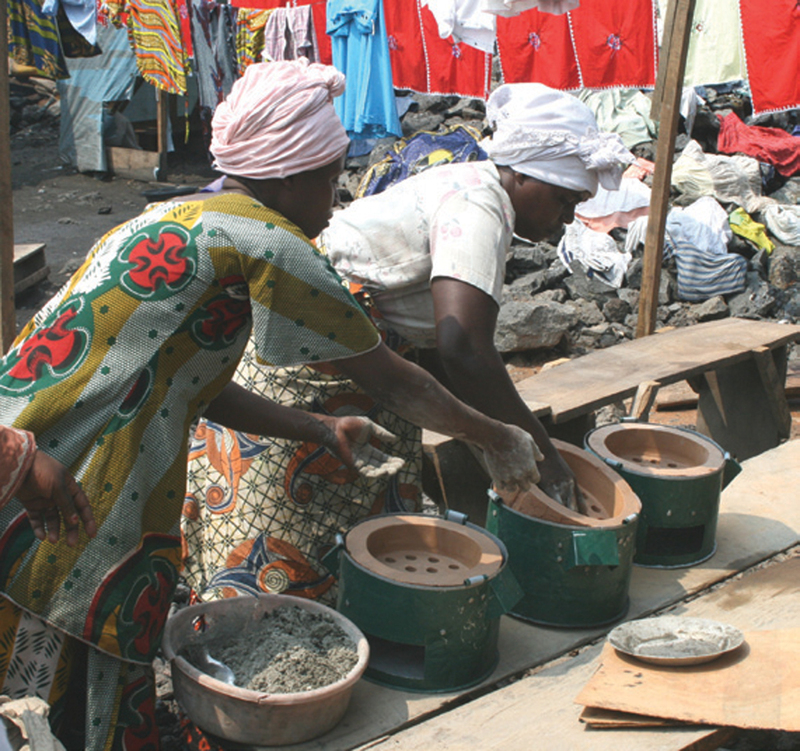 Figure 11.2: Locally built energy-efficient cookstoves help women manage resources sustainably and preserve Virunga Park forests in the Democratic Republic of Congo. USAID partners with WWF to support such ventures. Women constitute just over half the world’s population, but women are responsible for feeding much of it — especially in rural regions of developing countries. Women produce between 60 and 80 percent of food in developing countries — and yet they officially own only 2 percent of land worldwide, according to the Food and Agriculture Organization. Historical inheritance laws and customs often prohibit or limit women’s direct control over land; even when women are able to own and lease land, they may not be able to secure loans or insurance to keep their resources safe. The lack of equitable land rights remains a major obstacle to women’s empowerment and poverty alleviation. International agreements have made crucial links between women and the environment; the challenge is to take action. The Convention on the Elimination of All Forms of Discrimination Against Women (1979), an international “bill of rights” for women, addresses a host of environmental issues. Likewise, the Beijing Platform for Action, an outcome of the Fourth World Conference on Women (1995), includes an entire chapter on women and the environment. It foreshadowed the different impacts global warming would have on women and men, which are now evident across the globe. Major sustainable development treaties, also, have acknowledged the specific need for women’s participation and for a mainstreamed gender perspective. The 1992 United Nations Earth Summit (UNCED) produced two key conventions — on biological diversity and on combating desertification — that have served as guides for implementation of environmental actions from a gender perspective. The overall UNCED document, Agenda 21, included a specific chapter on gender, which highlighted the important role women play in industrialized countries as sustainable consumers. Indeed, the links between women and environment are not solely concentrated in the global South (i.e., developing countries). Studies have shown that women in the North (i.e., developed countries) have a smaller carbon footprint than men, making the majority of “green” decisions at the household level and for travel according to a 2007 Swedish government report. 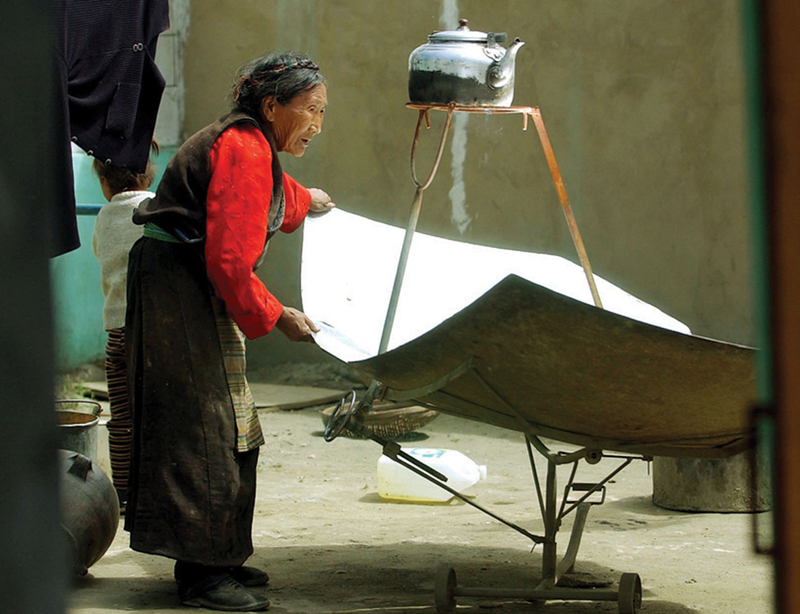 Figure 11.3: A woman in Tsetan, Tibetan Autonomous Region, China, uses a home-made solar cooker to boil water. These international agreements indicate that, worldwide, women must be equal participants in all decisions related to their environment. Demonstrating great capacity as leaders, experts, educators and innovators, women and women’s movements have made great strides in preserving and protecting the resources around them. Women took the lead in the grass-roots Chipko Movement of India in the 1970s, where activists stopped the felling of trees by physically surrounding — literally hugging — the trees. They also protected water sources from corporate control. Similarly, the Green Belt Movement, the conservation and forestry movement which originated in Kenya on Earth Day in 1977, is another famous effort initiated by women. Women around the world continue the fight against climate change, making sustainable consumption choices, and improving access to, control over and conservation of resources. Their voices must continue to be comprehensively integrated into policy and implementation efforts at every stage for the well-being of future generations. Cate Owren is executive director of the Women’s Environment and Development Organization (WEDO), a women’s global advocacy organization working to empower women as decisionmakers to achieve economic and social justice. Founded specifically to influence the 1992 Earth Summit (UNCED), WEDO strives to integrate gender perspectives and women’s direct participation internationally. Most recently, WEDO’s advocacy efforts contributed to securing the first-ever gender text in the U.N. negotiations on climate change. Russian environmental activist Aleksandra Koroleva’s efforts to preserve the environment and protect people from environmental pollution are tireless, and her unorthodox approach is often successful. 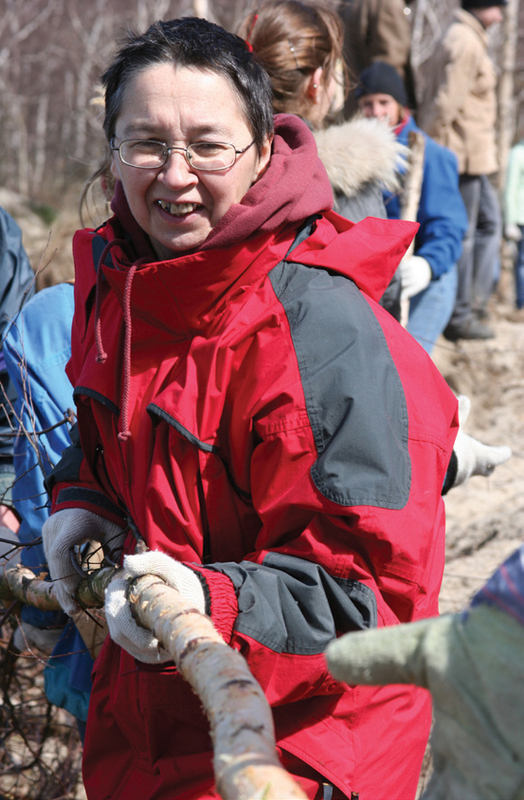 Environmental activist Aleksandra Koroleva has devoted much of her life to protecting the pristine environment in the Kaliningrad region in the Russian Federation, on the Baltic Sea. The unique and complex habitats there include wetlands, forests, rivers and marshes. It is home to diverse ecosystems and migratory birds. She has worked within and outside of the government not only to preserve precious natural resources but to protect citizens from dangerous environmental pollution. Koroleva was a member of a newly formed state environmental protection committee after the Soviet Union fell apart. She says that at the time it seemed the committee could significantly help to responsibly conserve the environment. Prior to this, Koroleva worked at a university, a school and a regional history museum where she dealt with environmental issues. In her new position her task was to raise public awareness, primarily through the mass media. The work was not going badly; she had even created the first radio program in the Kaliningrad region devoted wholly to environmental problems. The program aired for several years. But soon the legacy of the Soviet years, the bureaucracy, stalled her efforts. The list of “necessary and important” items is so long that it could occupy a dozen full-scale organizations. Yet Ecodefense! functioned admirably during its first 15 years, without any legal status. Among other endeavors, it agitated against pollution of the region’s water resources by harmful substances such as dioxins. It also opposed importation of foreign nuclear waste materials into the country. It protected the nature reserves of the Curonian Spit, a long, narrow sandbar that stretches across the Curonian Lagoon between the Kaliningrad region and Lithuania, from dangerous oil-extraction projects on the Baltic shelf. Ecodefense! fought to preserve trees in downtown Kaliningrad. And, of course, it promoted environmental education with all available means. The top priority was always to make people aware of environmental issues and how to solve the problems. Ecodefense! held press conferences and issued reports and press releases in years when this was a novelty in Russia, even for businesses. Ecodefense! successfully used the media to convey an independent environmental message. “Even now, when our work is not as intensive, journalists call me almost every day,” says Koroleva. Figure 11.4: Aleksandra Koroleva works with other activists at the Curonian Spit, Kaliningrad Region, Russian Federation. Such outré behavior was shocking and aroused suspicions which still persist among Koroleva’s numerous detractors. Many times Aleksandra Koroleva and her colleagues were accused of being in the pay of business competitors of the people they fought against or foreign intelligence services, from the CIA to Mossad. Koroleva routinely had to counter false media reports. Teaching is as necessary as breathing to Koroleva, but her dynamism often frightens people unprepared for her zeal. For 10 years Ecodefense! conducted a project to observe nature in the Baltic region in which children participated. Thousands of schoolchildren learned about the Baltic ecosystem in theory and in practice through this program. They cleared refuse from the coast, took eco-tours and networked with their peers from other countries in international nature camps. Koroleva urges everyone — children, teachers, officials, activists — not only to think but to do something concrete. For several years she organized the “Environmental Landing Force on the Curonian Spit” to strengthen dunes and clear away refuse in the national park, recruiting not only students and activists, but high-ranking officials, politicians and diplomats. She transformed conservation of the national park into a genuine mass movement. History has a way of repeating itself. Twenty years later Koroleva joined a government agency again, as deputy director of the Curonian Spit National Park. Although she recently resigned to protest new policies — the same inner drive causing her to reject the bureaucratic approach — Koroleva plans to continue her environmental work with Ecodefense! “I’m ready again to go back to my roots,” she says. Alexey Milovanov worked with Aleksandra Koroleva as a press officer and campaigner for the Ecodefense! environmental group for five years. He has been a freelance journalist and photographer since 2005 and is currently chief editor at the local online news agency www.NewKaliningrad.Ru. A revolution is happening in Barefoot College in rural Rajasthan, India. It is a quiet revolution that brings solar energy and clean technology to the poorest rural communities, changing the face of rural development. At the forefront of this revolution are semiliterate or illiterate rural women from Asia, Africa and Latin America, many of them grandmothers, who are trained to work as skilled solar engineers. Barefoot College was founded in 1972 in Tilonia, Rajasthan, India, by social activist and educator Bunker Roy. Its purpose is to find simple, sustainable solutions to basic quality of life problems in rural communities: clean water, renewable energy, education and health care. Stable livelihoods and women’s empowerment are also among Barefoot College’s goals. Solar energy is an important “barefoot solution,” and women — especially grandmothers — are preferred candidates for solar engineer training. As Bunker Roy puts it, “We have trained men, and found that they took their training and knowledge to go work in the cities. [Women] feel responsible for their village.” Rural grandmothers have a longer history in the community and have less incentive to migrate. This keeps the knowledge and technology in the community. Their expertise is shared with others, ensuring project sustainability. Treating the community members as partners and letting them manage and own their resources and technology are unique features of the Barefoot program. The trainees all hail from remote communities that have never known conventional electricity and where literacy rates are low, especially for women and girls. They are selected by community consensus and, upon their return, are paid by the community to install, maintain and repair the solar units at a percentage of the monthly energy costs that would otherwise have been spent on the alternatives — fuels, candles and batteries. Since 2005, 250 of these village women from 29 countries have brought solar electrification to around 10,000 houses, in regions as diverse as the hot desert plains of Rajasthan and rural hamlets tucked in the cold, mountainous, windswept plateaus of Ladakh, in India; Timbuktu, Mali, in Africa; and Soloja, Bolivia, high in the Andes. Most poor rural households that Barefoot College has helped in Africa and Latin America use approximately 1.5-2 gallons of kerosene per month for their lighting and cooking needs, according to the Barefoot College experience with rural households. It is estimated that this consumption emits an estimated 14.74-19.65 kilograms of CO2 (Richard J. Komp, 2002). Switching to solar power has reduced environmental pollution and forest degradation in these communities by decreasing their use of firewood, diesel and kerosene. Using solar power has lowered rural families’ lighting costs and reduced the levels of indoor pollutants and the fire hazards of kerosene use. The study conditions for schoolchildren are improved and women can engage in income-generating activities, such as handicrafts, after sundown. Figure 11.5: Rural grandmothers are being trained as solar engineers at a Barefoot College workshop session. The extraordinary results achieved by Barefoot College began with its six-month, hands-on solar engineering training program. 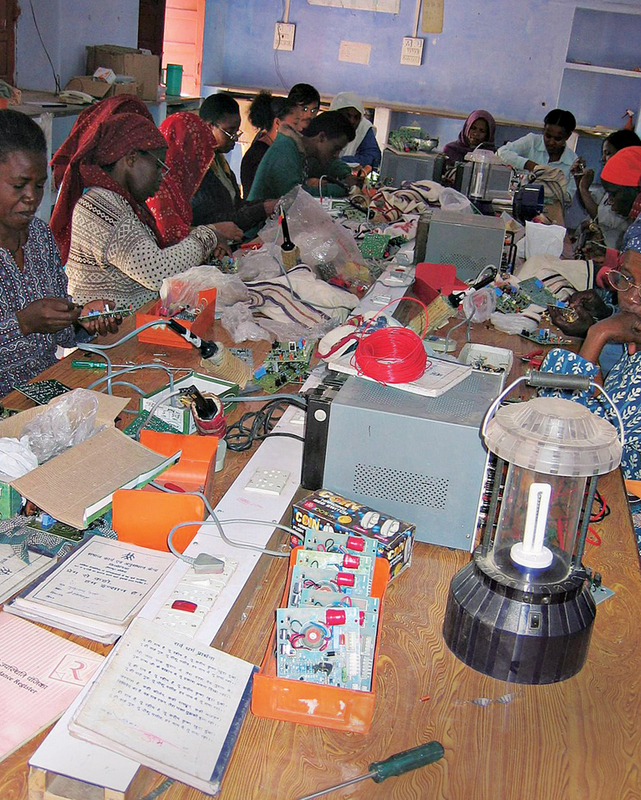 The guiding principle of the college, that solutions to rural problems lie within the community, is nowhere more evident than at a solar engineering training classroom, where 30 participants, from various countries, sit side by side on benches, working with concentration to connect wires on a circuit board, assemble a solar lantern or draw what they have just created in a small notebook. Since there is no one common language among the trainees or instructors, the women learn to identify parts by color and use hand gestures liberally. Waves, smiles and greetings in a variety of languages welcome the visitor to this Barefoot united nations of women, collaborating to bring light and hope to their communities. 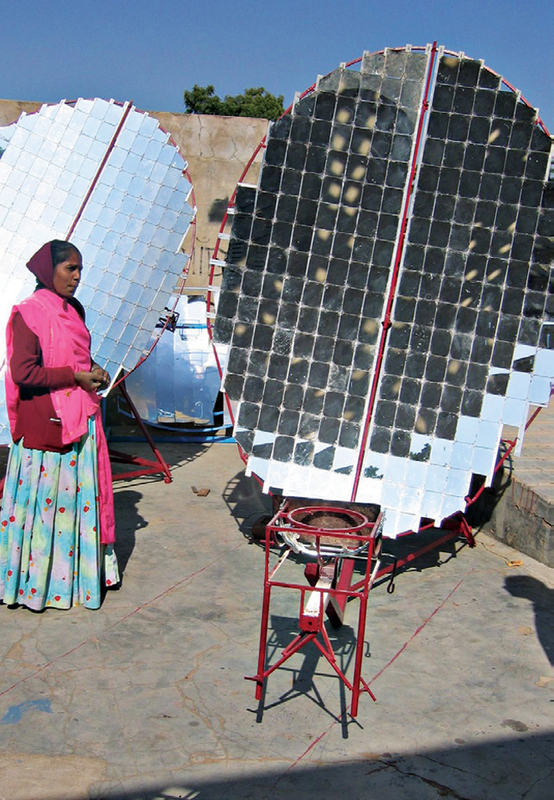 Figure 11.6: Sita Bai, a solar cooker mechanic, stands beside one of the devices she is trained to assemble and repair. The same enthusiasm and entrepreneurial activities pervade the Barefoot College campus. A short distance from the classroom, two impressive-looking 2.5-square-meter parabolic solar cookers glisten in the sunlight. The cookers are attended by Shahnaz and Sita, two Barefoot solar engineers (BSEs). They went through the basic solar program before specializing in the fabrication of cookers — a task traditionally associated with men, as it involves metal work and welding. As they explain some of the intricacies of constructing and calibrating the cooker, their pride in their work is evident. They now train other women to make the cookers. Sita has even found a way to reach a broader audience by composing a song with her colleagues on the benefits of using solar cookers, which they sing for community education programs. The story of their personal journey from conservative families, where they were limited to socially prescribed tasks, to their roles as educators, skillful mechanics and wage-earners is a powerful narrative of change. By enrolling women and their communities as partners, Barefoot College has increased community awareness of sustainable practices while supporting traditional knowledge. Workshops on how to dispose of plastic responsibly, use solar cookers, improve management of water resources, including rain water harvesting, and other good practices that are kinder to the environment enhance the quality of rural life. Anu Saxena has been involved with international development programs in marginalized communities, with a focus on gender issues, for more than 20 years. She earned her doctorate in social anthropology from Boston University and did her fieldwork in Colombia. She is currently the Latin America adviser to the Barefoot College (India) Solar Engineering program. Which option describes women’s relationship with the environment? Women are most vulnerable to environmental threats because they are often more dependent on natural resources for food, fuel, and shelter. Which option demonstrates a rights-based reason for including women in sustainable development policy making? Aleksandra Koroleva used which methods to push for changes in environmental policy? Which case demonstrates a mainstreaming of women’s voices into policy change? The correct answer is all of the above (answer E). The correct answer is that international conventions and treaties on gender and the environment, such as the Convention on the Elimination of Discrimination against Women (CEDAW) and the Convention on Biological Diversity (CBD) call for a gender-mainstreamed approach to sustainable development. These tools signal a rights-based approach because they demonstrate that states have a legal obligation to consult and include women in policy development, and women have the right to participate. Answers A, B, and C are not rights-based; B and C state that women should be included because of their responsibilities in producing food, and A highlights women’s vulnerability to environmental change as the reason for their involvement. The correct answer is E (all of the above). The correct answer is a committee where women represent 15 of 25 seats. Introducing a single woman onto a steering committee to satisfy a bare-minimum diversity requirement is tokenization, so answer A is incorrect. Women’s wings and sections of organizations can be effective in terms of ensuring that there is a space for women and that there are women’s perspectives represented, but they do not represent a mainstreaming of women’s voices. The correct answer is that women become more involved and vocal in environment management (D). The identification of parts of the solar panel with colours and hand gestures is an educational strategy, and not a sociopolitical outcome (answer A). The number of households to which women have installed solar electricity is a useful statistic, but not a sociopolitical outcome. The chapter states that Barefoot College’s guiding principle is that solutions to rural problems lie within the community (answer B). Constructing solar cookers is one of the strategies used by Barefoot College, but it is a means and not an end, so answer A is incorrect. Giving women a voice in local politics is an outcome of the College programs but was not mentioned as the organization’s guiding principle (answer C). Teaching women to use solar cookers and improve water management is a strategy toward giving women a voice in politics but is not a guiding principle. What is the value of women participating fully and equally in addressing climate change? Why should climate change be addressed through a gender lens? What are the gender-specific barriers to the participation of women in environmental movements? Using the additional resources provided, discuss the connections between violence against women and the environment. In what ways are Indigenous peoples particularly vulnerable to climate change? Describe the role of Indigenous women in addressing the impacts of climate change. To push for environmental policy change, is it more effective to work within government or outside of the system through civil disobedience? Drawing on the Aleksandra Koroleva profile and any relevant additional resources, discuss the advantages and drawbacks of advocating for the environment through acts of protest. Through the additional perspectives provided, discuss the role of Indigenous perspectives in preserving the environment. Is it possible to substantively address climate change through Western methods, or should be it addressed through traditional protocols? Are these perspectives mutually exclusive? What is the relationship between policymaking, patriarchy, and climate change? Select a jurisdiction, whether at the national, provincial, or municipal level. How has gender been integrated into the environmental policy of the jurisdiction that you have chosen? Could gender be integrated into this policy more effectively? If so, how? United Nations Development Program (UNDP). “Africa Adaption Program (AAP) Experiences: Gender and Climate Change.” (2011). Discussion paper on key challenges to reducing gender-based vulnerability, gender sensitive approaches to AAP, and continuing efforts. An international peasants’ organization with campaigns to promote food sovereignty and biodiversity and to stop violence against women. Tebtebba Foundation. “Indigenous Women, Climate Change and Forests.” (2011). Publication of findings from research projects on the differentiated impacts of climate change on Indigenous women and their roles in traditional forest ecosystems and resource management. Activist Harsha Walia sheds light on the relationship between violence against Indigenous women and the environment. Perch, L. & Tandon, N. “Farming, Mining and Caring for the Land: Why a Critical Feminist Gender Discourse on Rights and Resources is More Important Now than Ever Before.” Open Society Initiative for Southern Africa. (2015). Reflects on women’s experiences in the agriculture and mining sectors and sustainable development through a feminist critique. Singh, K. “Women and their Role in Natural Resources: A Study in Western Himalayas.” International Journal of Research – Granthaalayah 3(1) 128 – 138: (2015). 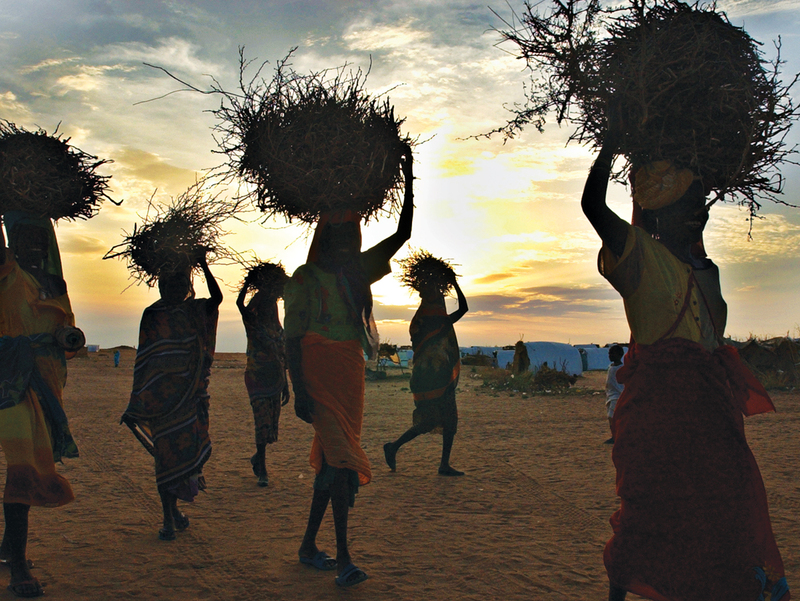 Highlights the role of women and traditional activities in natural resource conservation. The World’s Women 2015. “Environment.” (2015). Chapter with annually updated qualitative and quantitative information and analysis on the particular vulnerabilities of women to climate change. UN WomenWatch. “Fact Sheet: Women, Gender Equality and Climate Change.” (2009). Links the socio-economic and political barriers to women’s empowerment to the gendered vulnerabilities of climate change. Women Organizing for Change in Agriculture and Natural Resources (WOCAN). WOCAN is a women-led international membership network with the objective to address gaps in knowledge and experience in sustainable development. This work (Chapter 11: Women and the Environment by Bureau of International Information Programs, United States Department of State) is free of known copyright restrictions.